By Amanda Gibbs March 08, 2017 Portland, Ore. In 2001 the U.S. Food and Drug Administration granted priority review for imatinib mesylate, sold under the name Gleevec®*, as an oral therapy for patients with chronic myeloid leukemia, or CML. Today the New England Journal of Medicine published results from a nearly 11-year follow-up study, that showed an estimated overall survival rate of 83.3 percent. According to the National Cancer Institute, prior to Gleevec’s 2001 FDA approval, fewer than 1 in 3 CML patients survived five years past diagnosis. 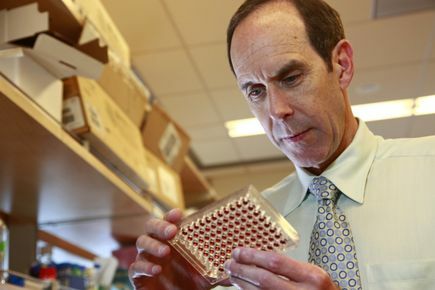 Brian Druker, M.D., who led the original clinical development of Gleevec, co-authored the study. The worldwide study enrolled 1,106 participants at 177 cancer centers in more than 16 countries. “The long-term success of this treatment confirms the remarkable success we’ve seen since the very first Gleevec trials,” said Druker, director of the OHSU Knight Cancer Institute, a Howard Hughes Medical Institute Investigator and JELD-WEN Chair of Leukemia Research in the OHSU School of Medicine. “This study reinforces the notion that we can create effective and non-toxic therapies." The discovery of Gleevec ushered in the era of personalized cancer medicine, proving it was possible to shut down cells that enable cancer to grow without harming healthy ones. In addition to treating patients with CML, Gleevec has proved effective against multiple forms of cancer, including pediatric CML and gastrointestinal stromal tumor, or GIST. A recent study published in JAMA Oncology found that nearly 1 in 4 GIST patients treated with Gleevec will survive 10 years. Particulars: Funding for the study was provided by Novartis Pharmaceuticals; IRIS ClinicalTrials.gov numbers NCT00006343 and NCT00333840; OHSU IRB number e1091. In the interest of ensuring the integrity of our research and as part of our commitment to public transparency, OHSU actively regulates, tracks and manages relationships that our researchers may hold with entities outside of OHSU. In regards to these research projects with Novartis, Drs. 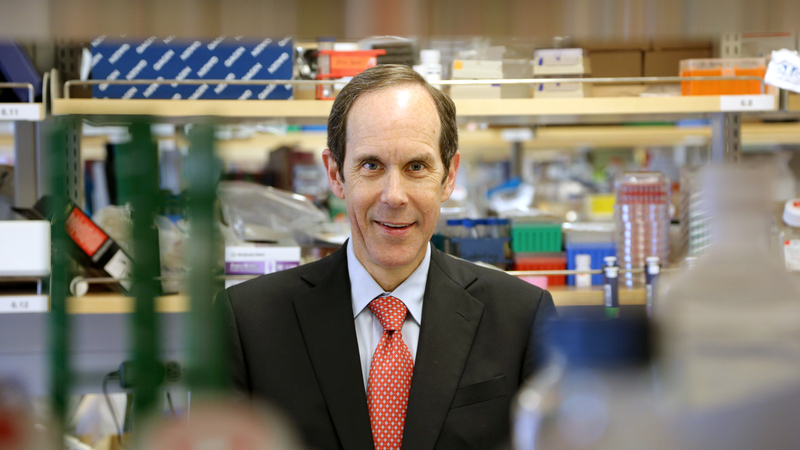 Druker and Heinrich receive a share of licensing revenue for use of Gleevec for GIST. Dr. Heinrich is a consultant to Novartis and has provided expert testimony for Novartis. Review details of OHSU's conflict of interest program to find out more about how we manage these business relationships.